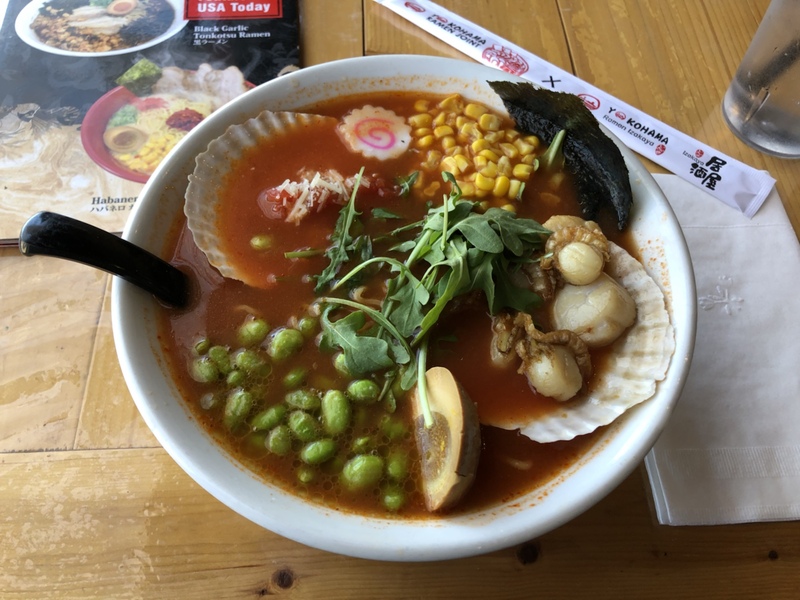 Limited-time Tomato and Scallop Ramen is a unique twist on a popular dish – Wichita By E.B. Ramen can be found all over the city and fact is, many of the options around town are all delicious. But Yokohama Ramen Joint has taken it upon themselves to put out some creative takes on ramen to give diners a variety of options. 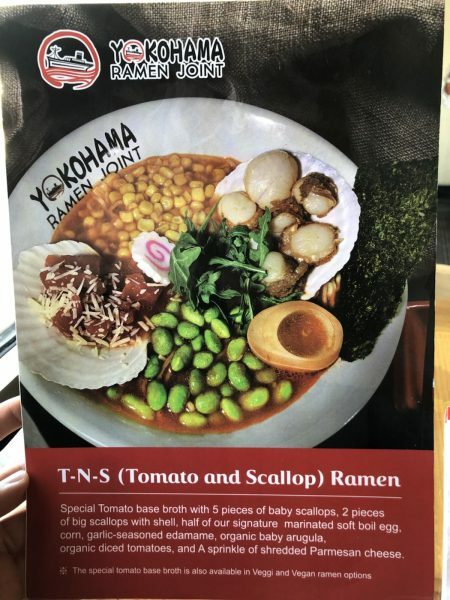 The newest dish is the T-N-S (Tomato and Scallop) Ramen. It cost $13 and change after tax. The T-N-S is a special tomato base broth with 5 pieces of baby scallops, 2 big scallops with shell, half of their signature marinated soft boil egg, garlic-seasoned edamame, organic baby arugula, organic diced tomatoes, and a sprinkle of shredded Parmesan cheese. I gave this a go today and was wowed by it. Sometimes I’m never sure what to make of different takes on meals. I wasn’t sure if it would taste like tomato soup or the Vietnamese soup dish called Bún riêu. It was almost like a mix of both. The tomato flavor was certainly there but not overpowering or as sweet as one would expect. Sometimes seafood based soups have a very pungent taste and that wasn’t the case here either. While there was more of a seafood aftertaste to it, it went away quickly with each slurp of the broth. The tomato and scallops balanced out well . It still felt like a bowl of ramen just with a different taste to it. I really enjoyed it. For personal preference I may have opted to have it without the edamame as well as order an extra egg. I think the only time I enjoy edamame is by itself and with a ton of seasoning on it. The special tomato base broth is also available in veggie and vegan ramen options for those wondering. Get this while you can.